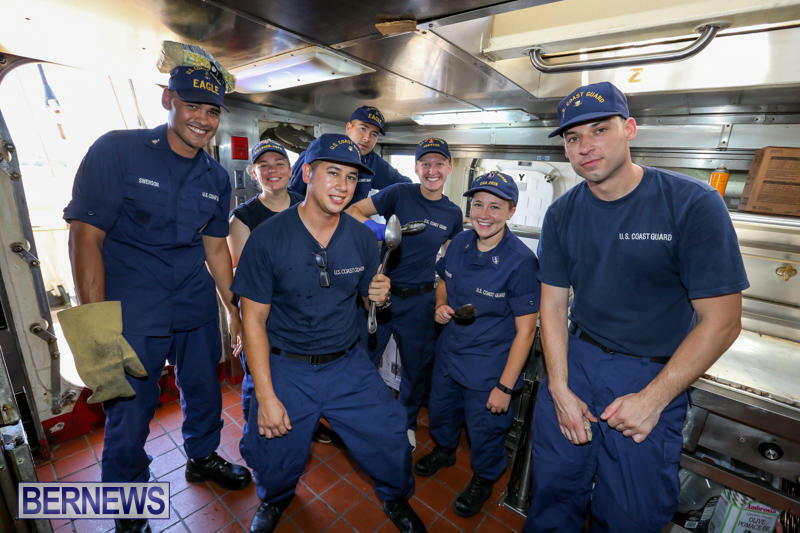 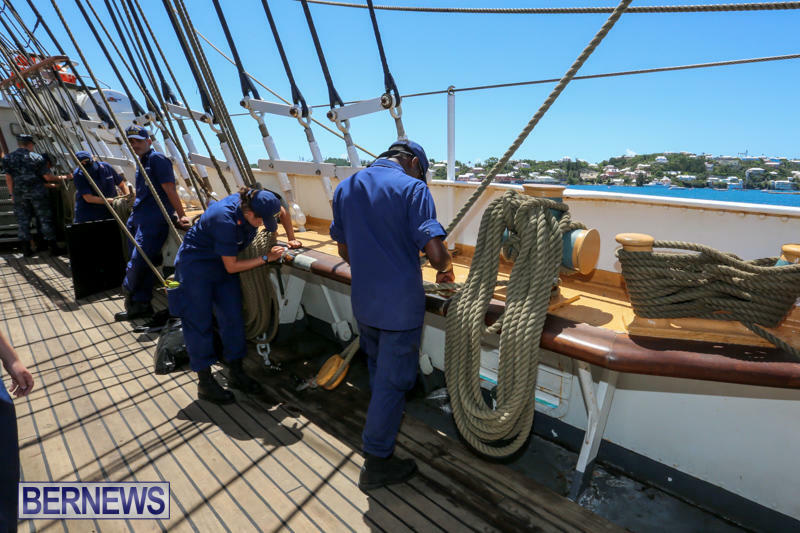 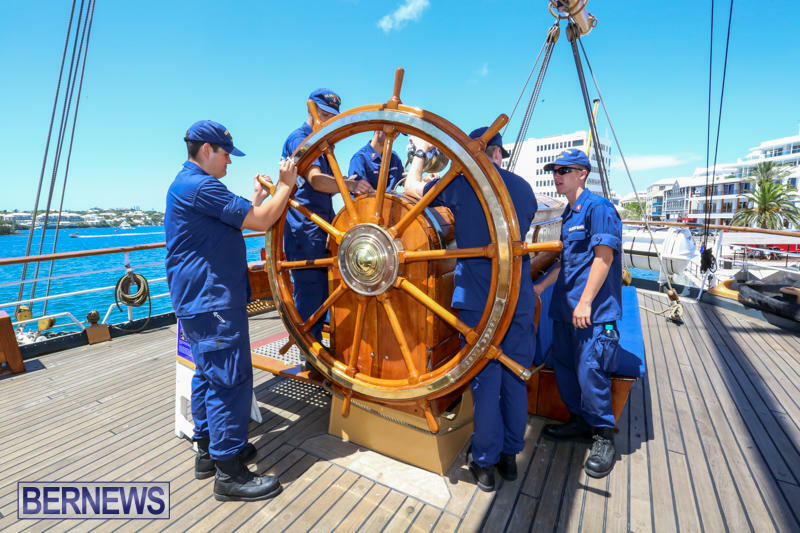 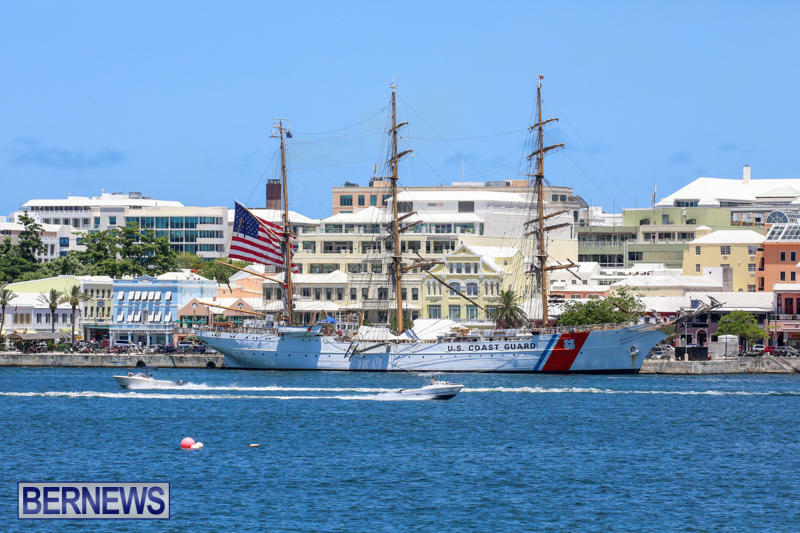 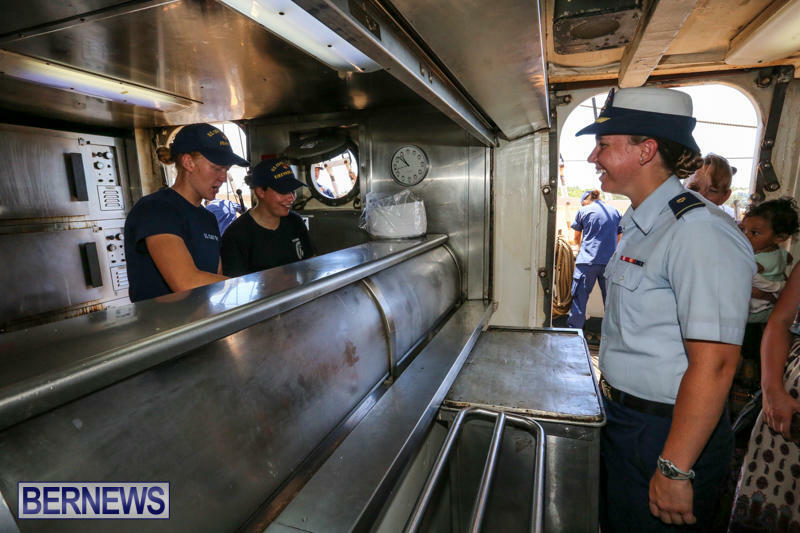 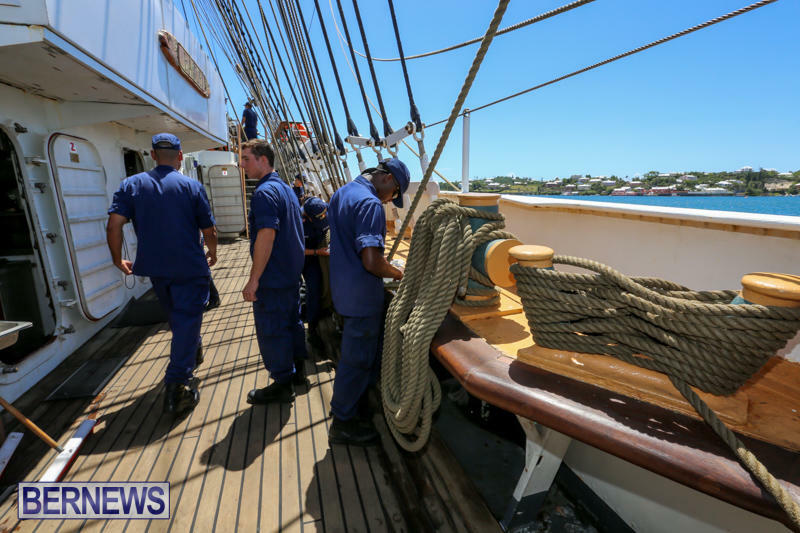 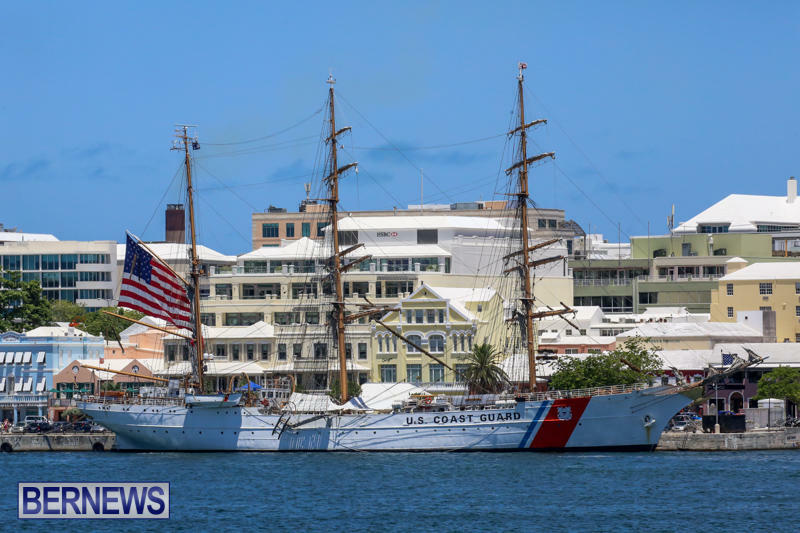 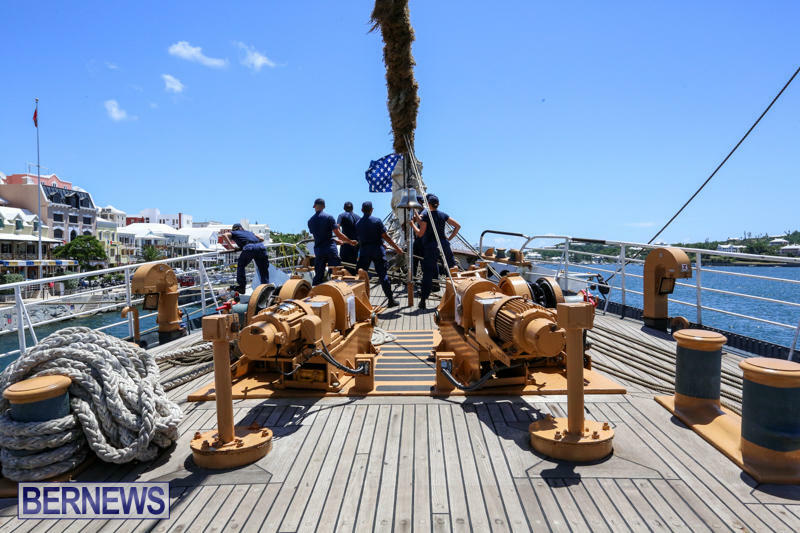 The U.S. Coast Guard Cutter Eagle is scheduled to arrive in Bermuda this week as part of its 2017 cadet summer training deployment. 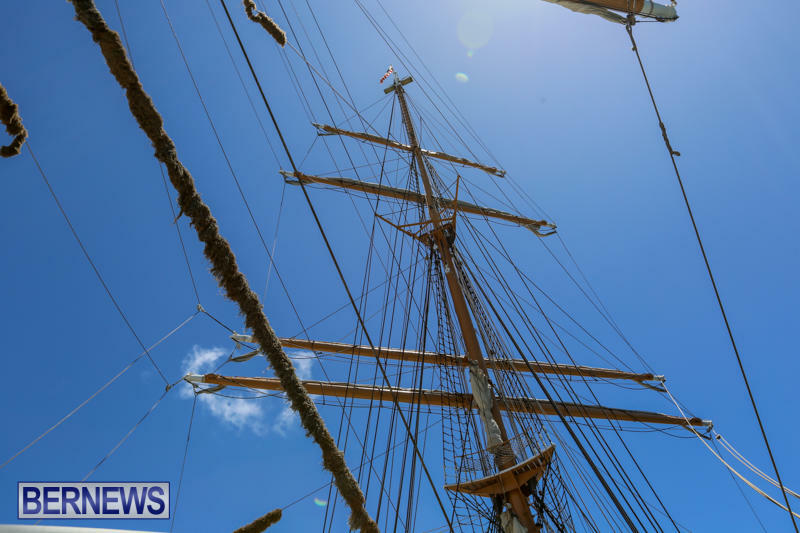 The ship will be moored along Front Street, Hamilton. 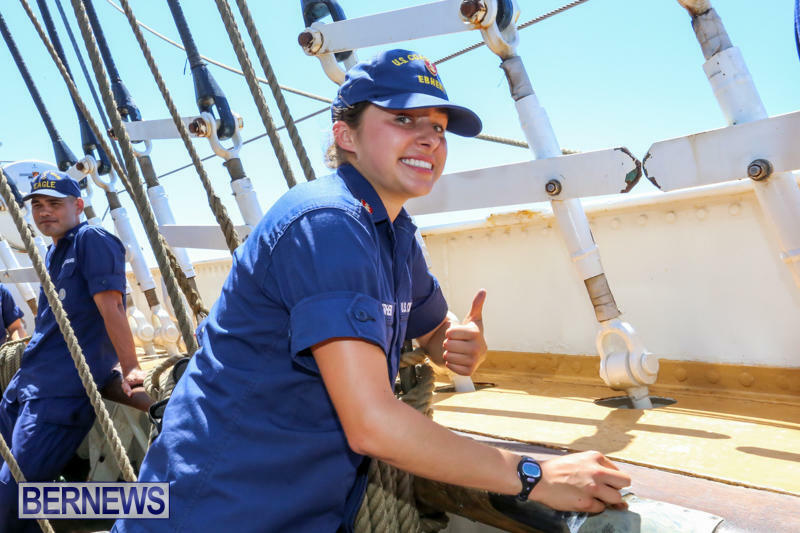 Friday, May 19 10:00 a.m. – 7:00 p.m.
Saturday, May 20 10:00 a.m. – 7:00 p.m.
Sunday, May 21 10:00 a.m. – 7:00 p.m.
At 295 feet in length, the Eagle is the largest tall ship flying the stars and stripes and the only active square-rigger in U.S. government service. 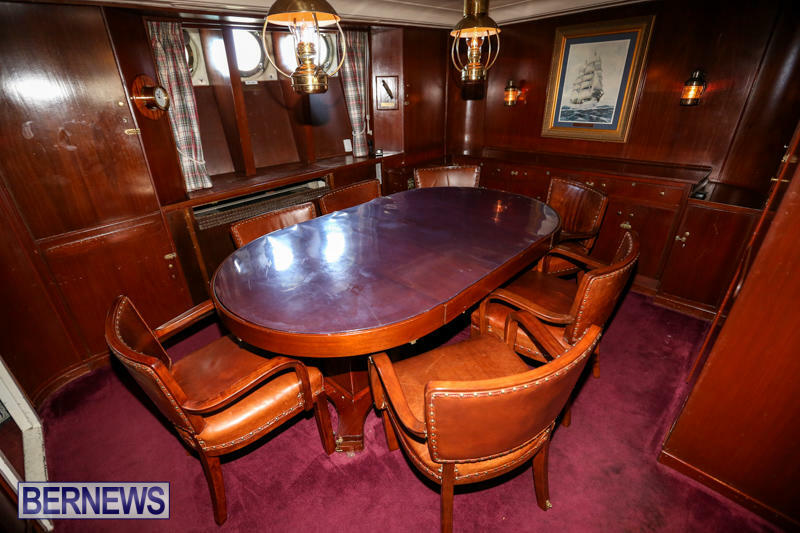 It was constructed in 1936 by the Blohm and Voss Shipyard in Hamburg, Germany, and originally commissioned as the Horst Wessel by the German Navy. 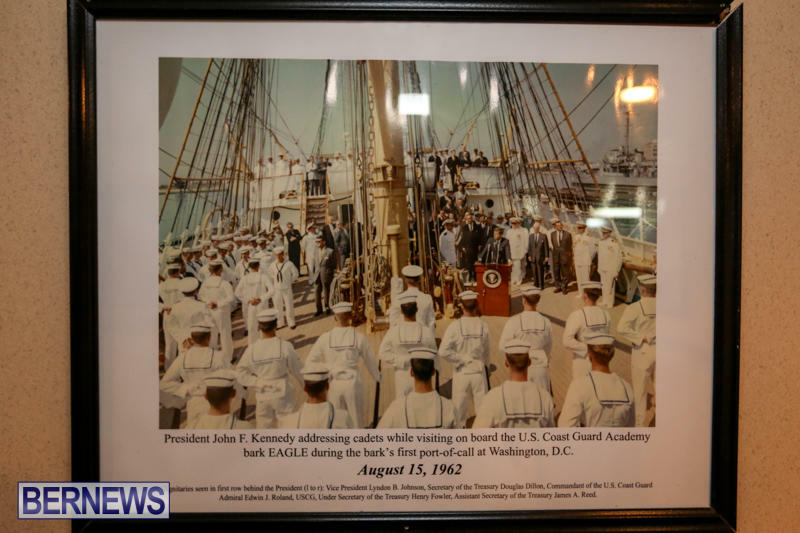 The United States took the Eagle as a war reparation following World War II. 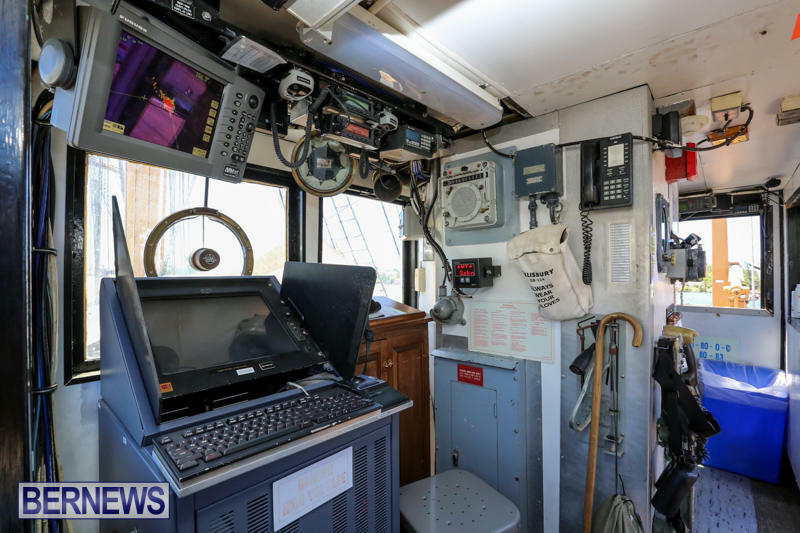 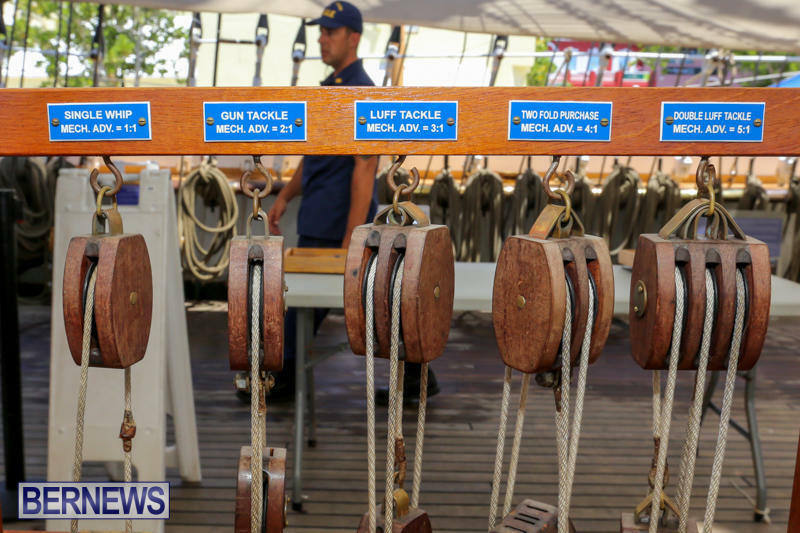 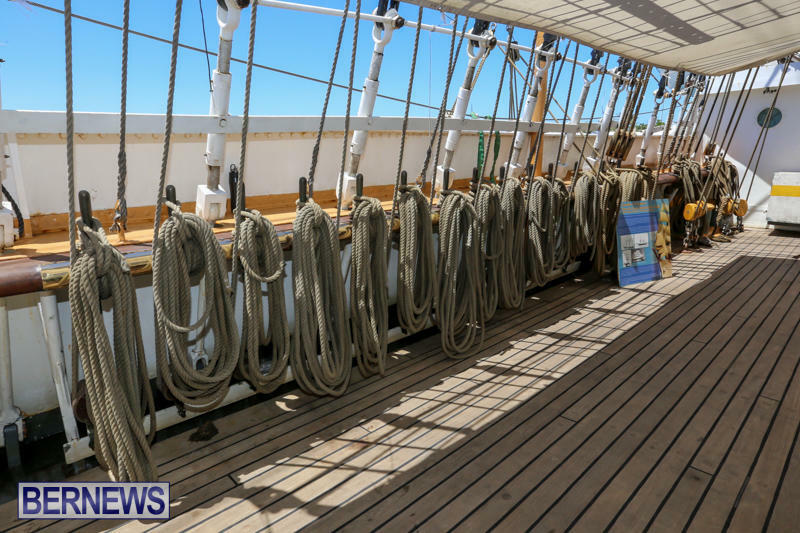 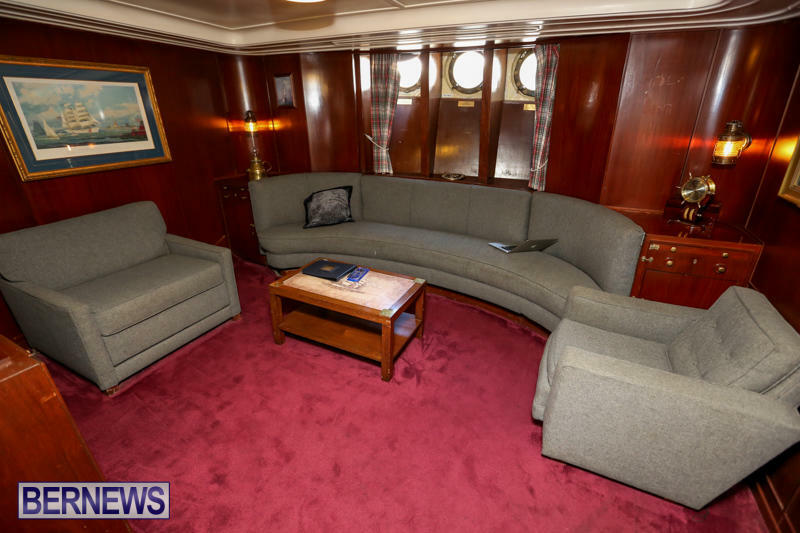 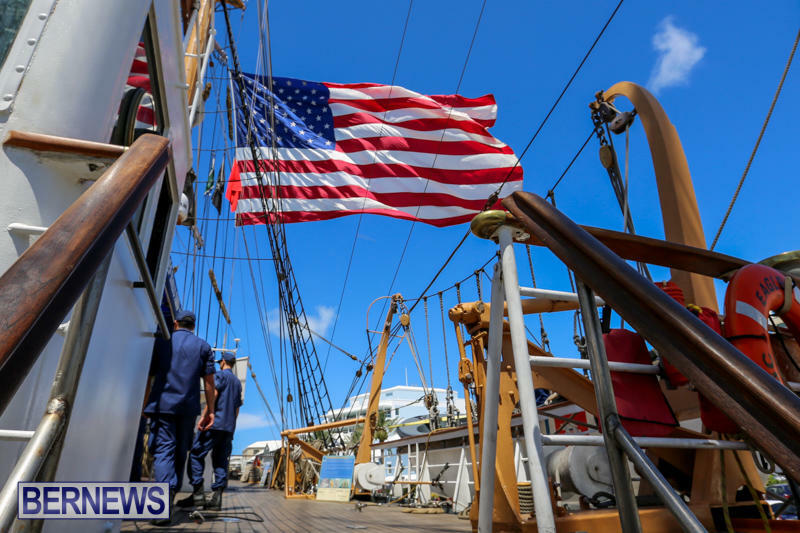 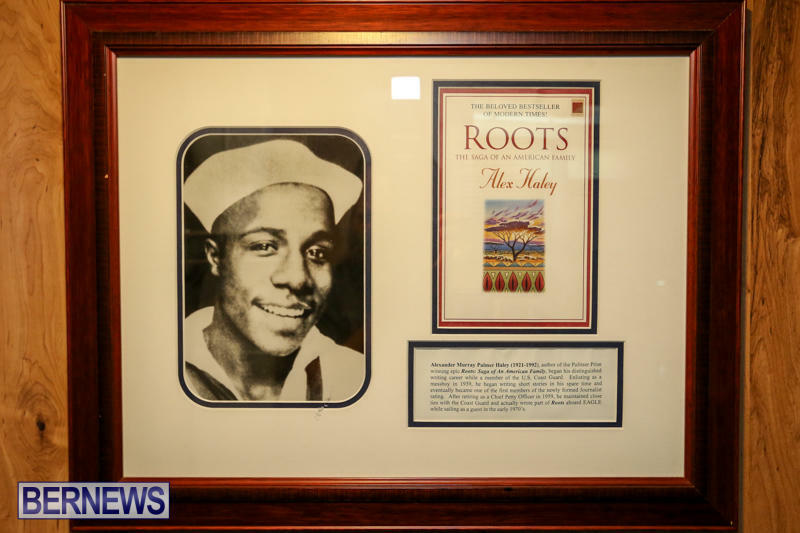 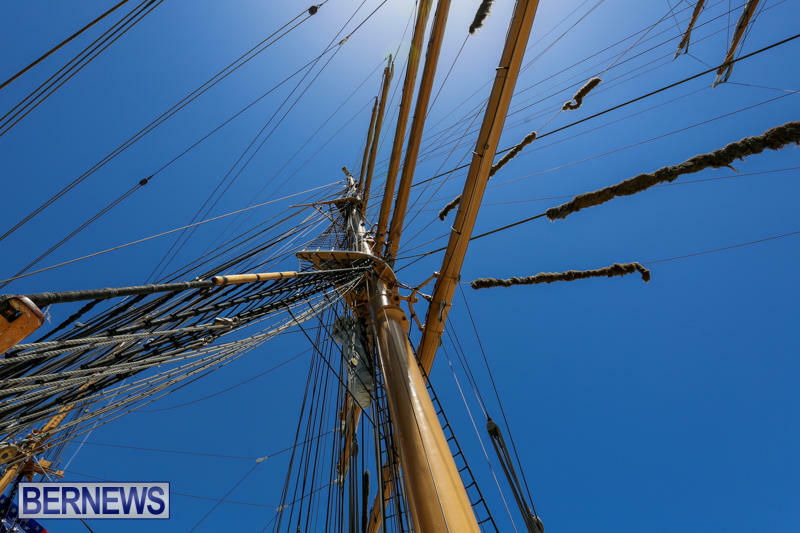 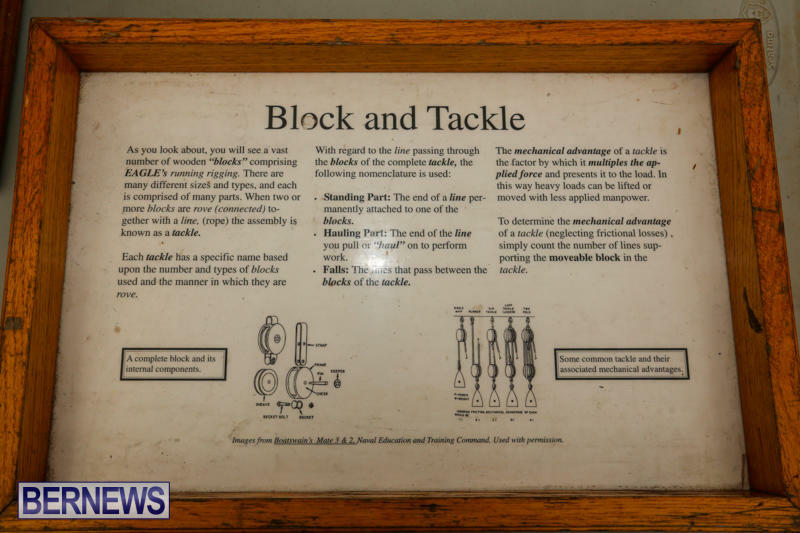 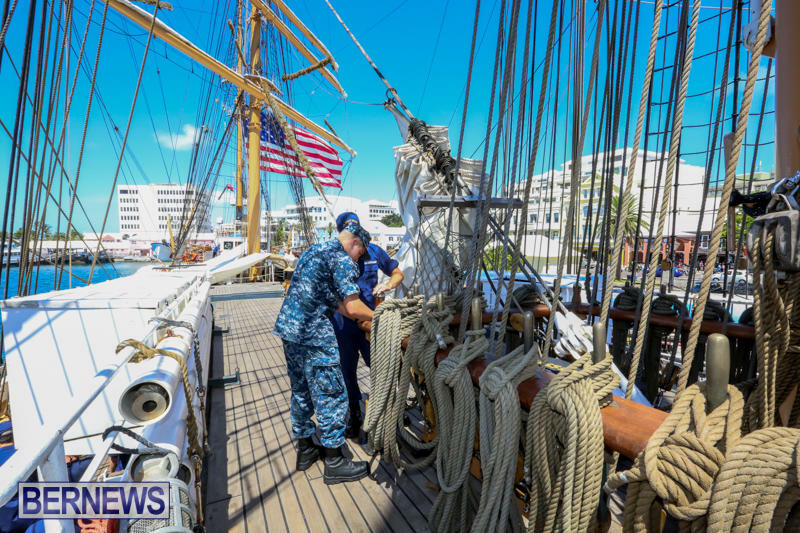 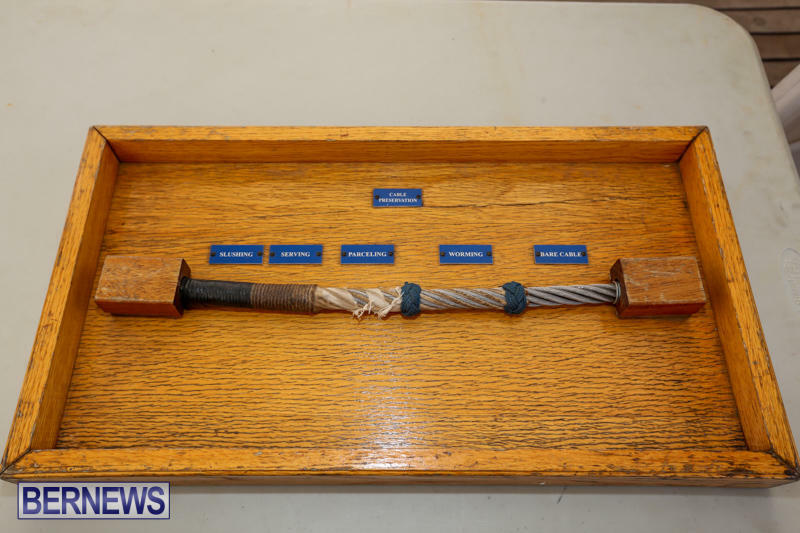 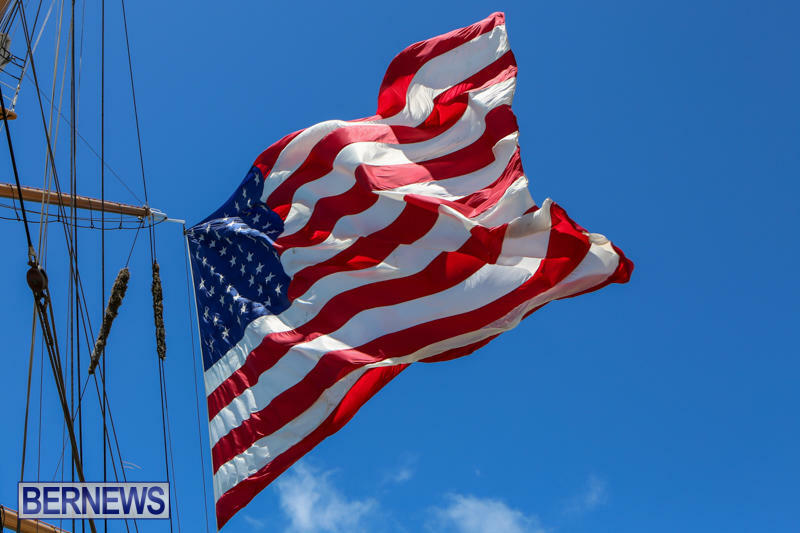 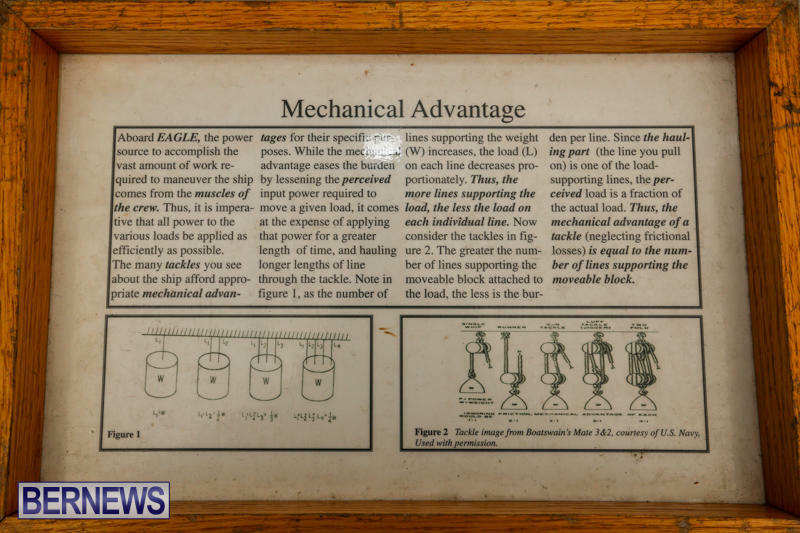 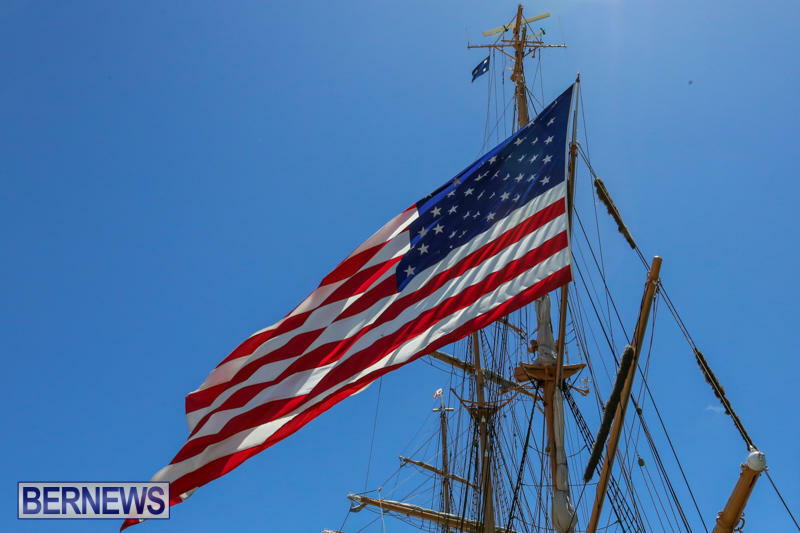 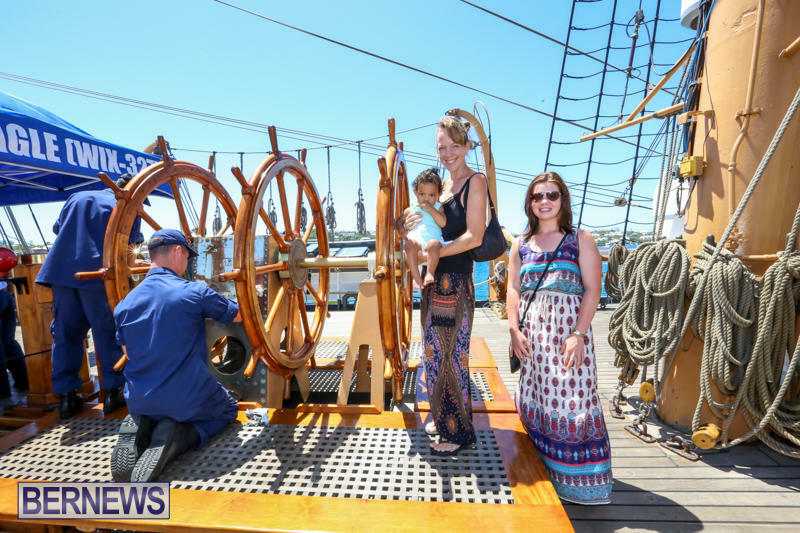 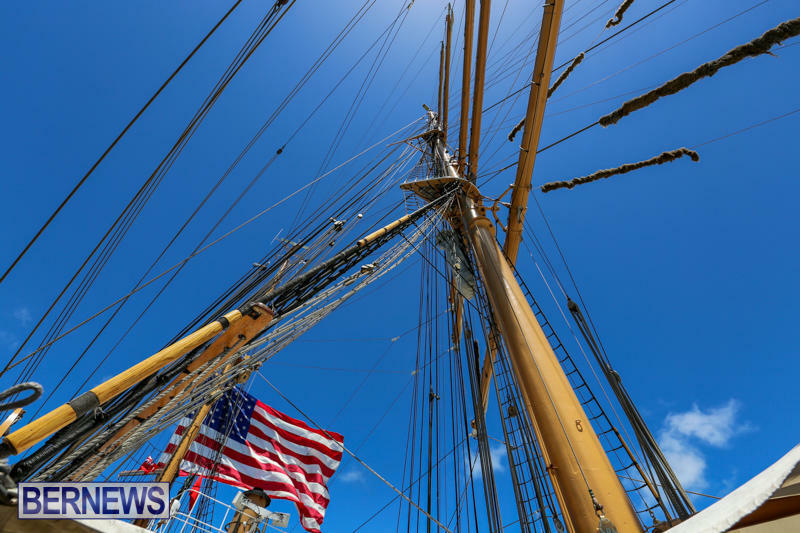 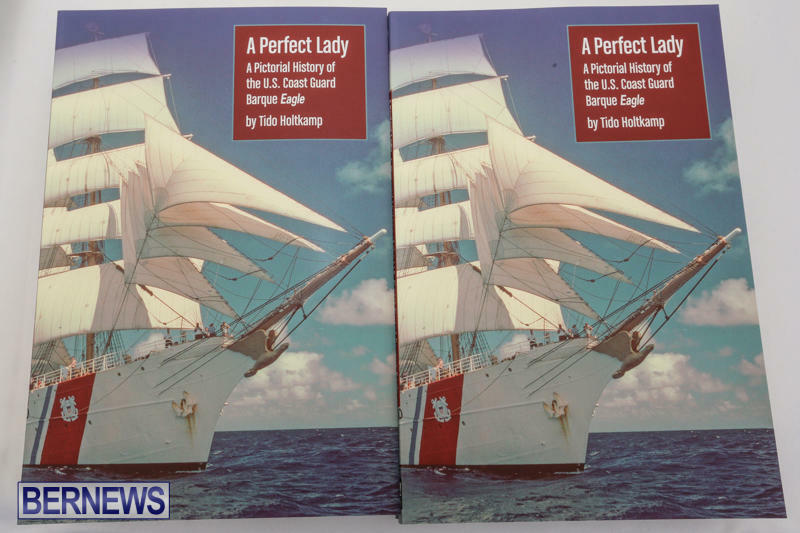 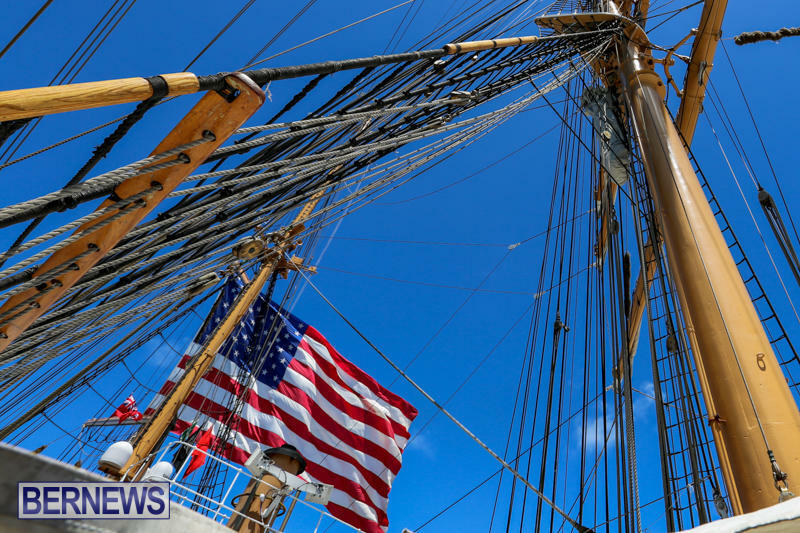 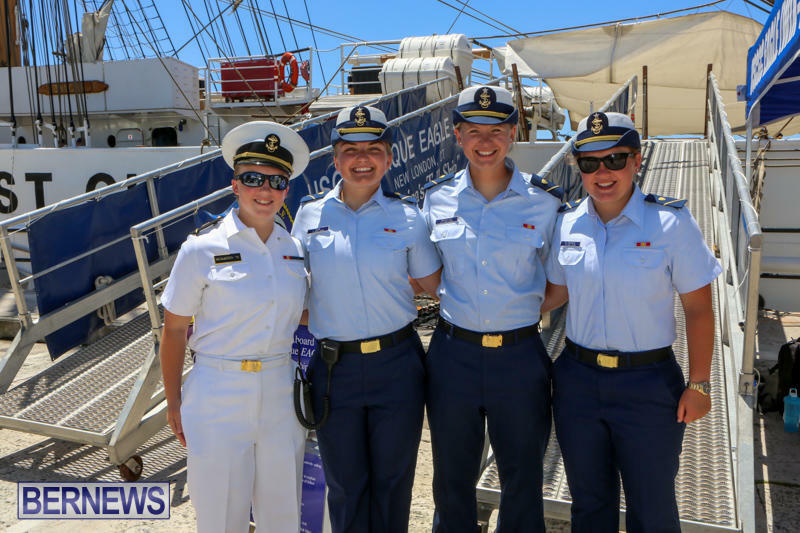 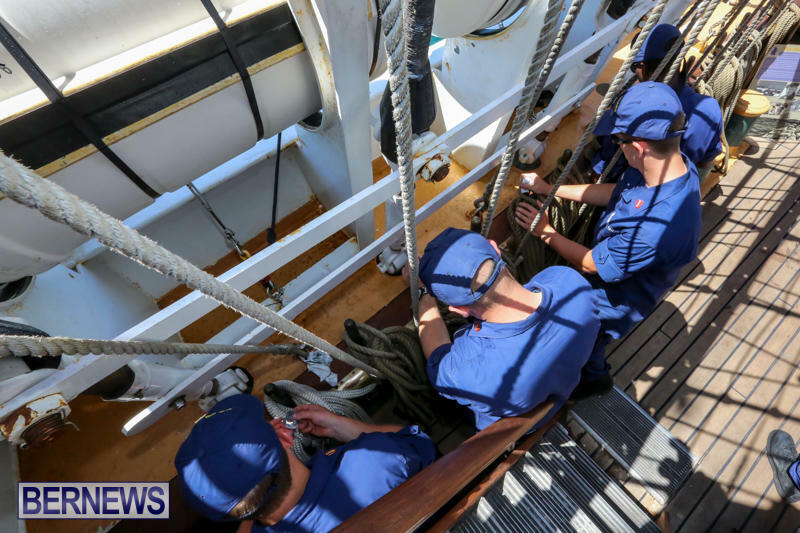 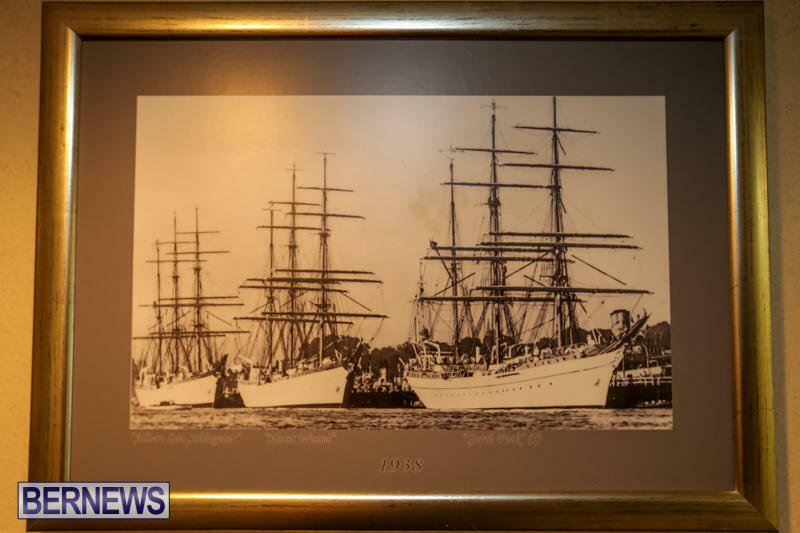 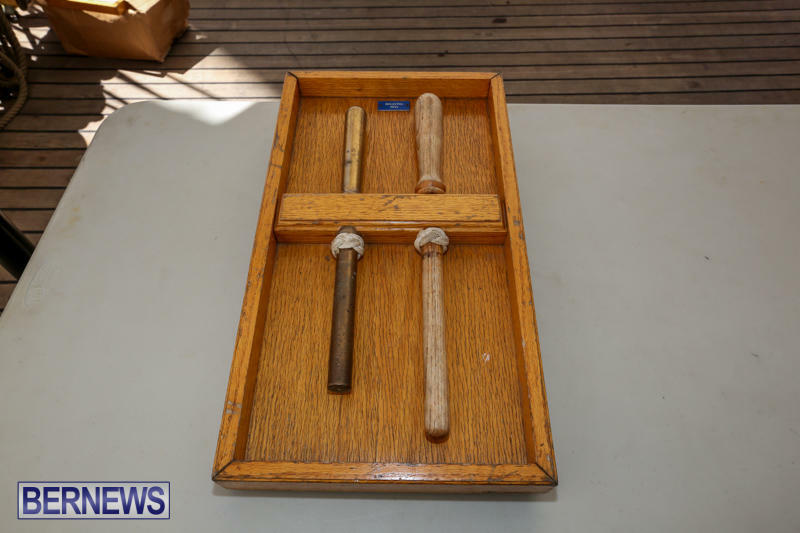 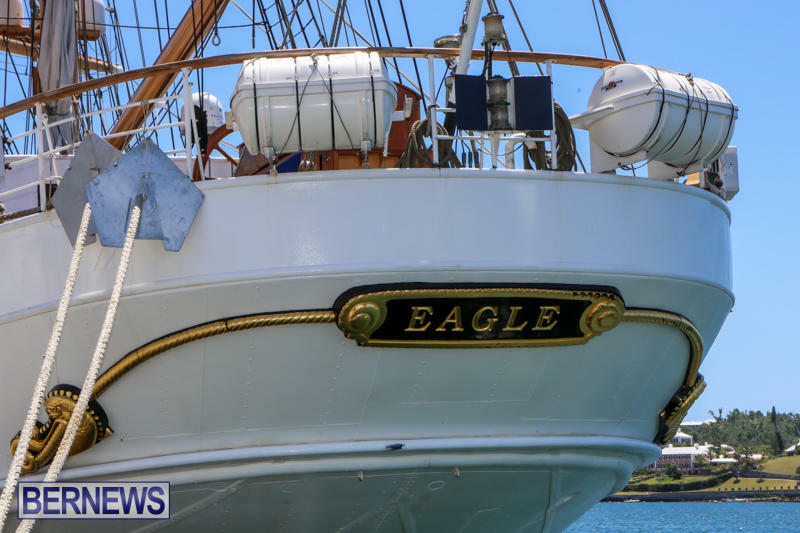 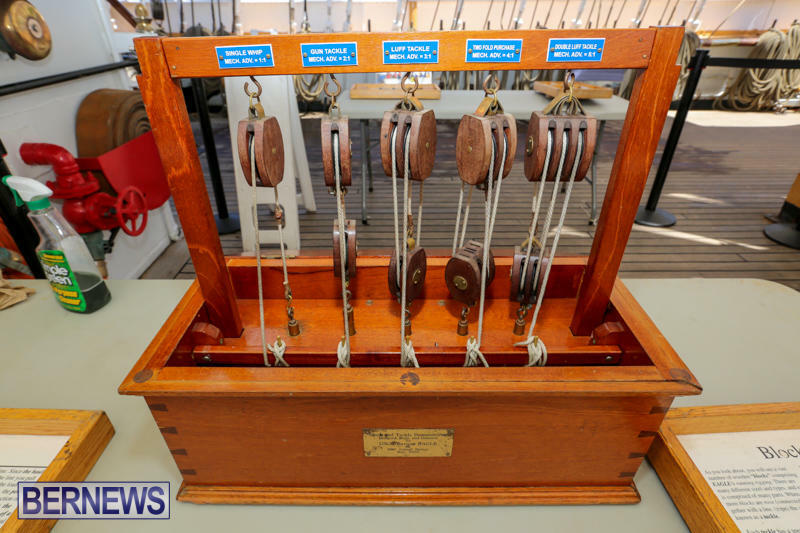 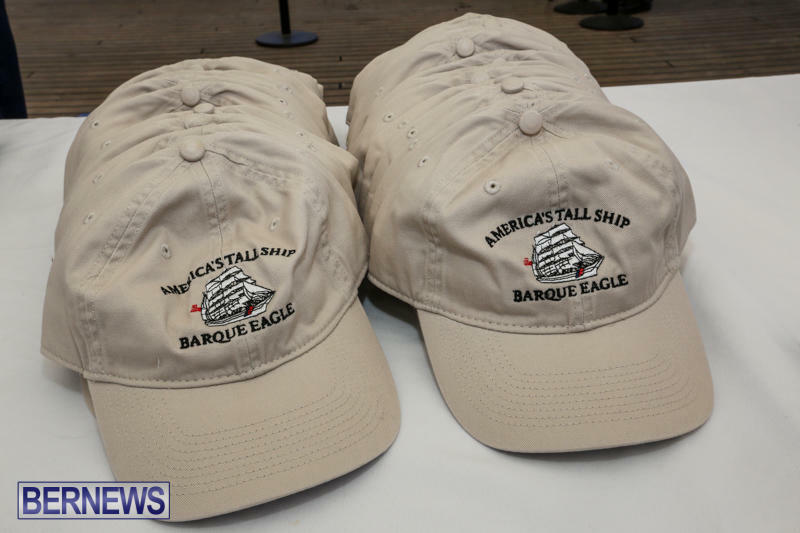 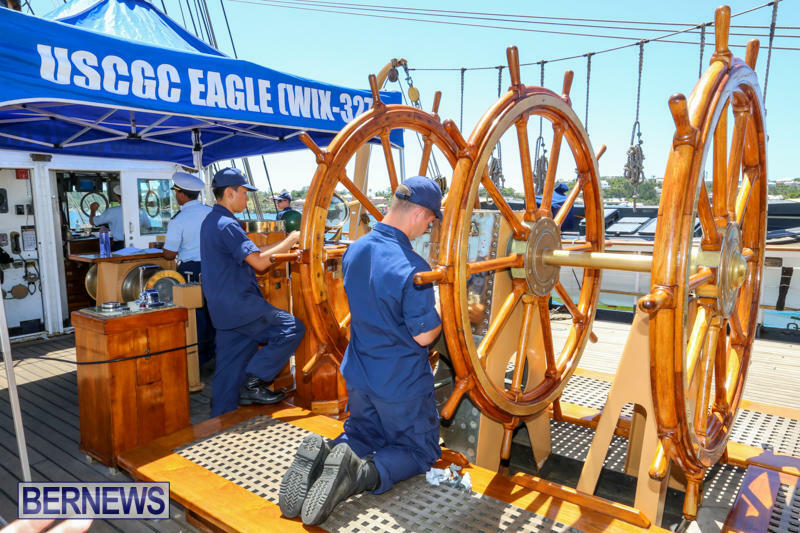 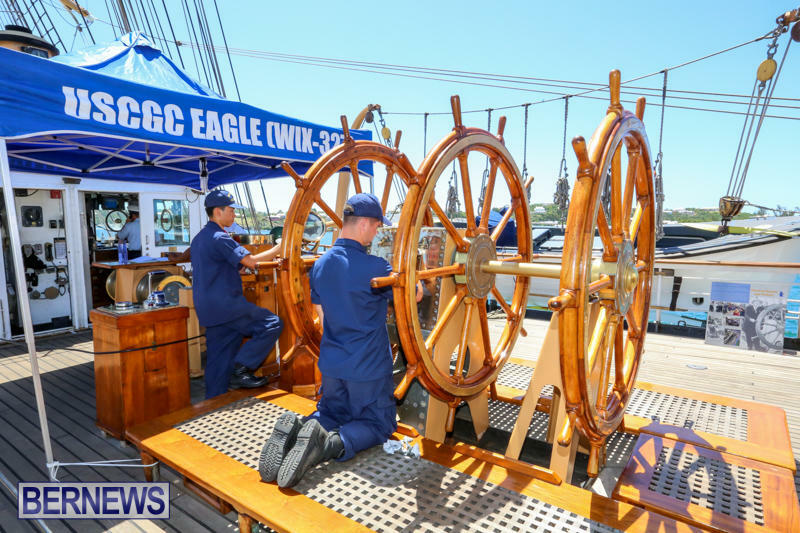 With more than 23,500 square feet of sail and six miles of rigging, the Eagle has served as a classroom at sea to future Coast Guard officers since 1946, offering an at-sea leadership and professional development experience. 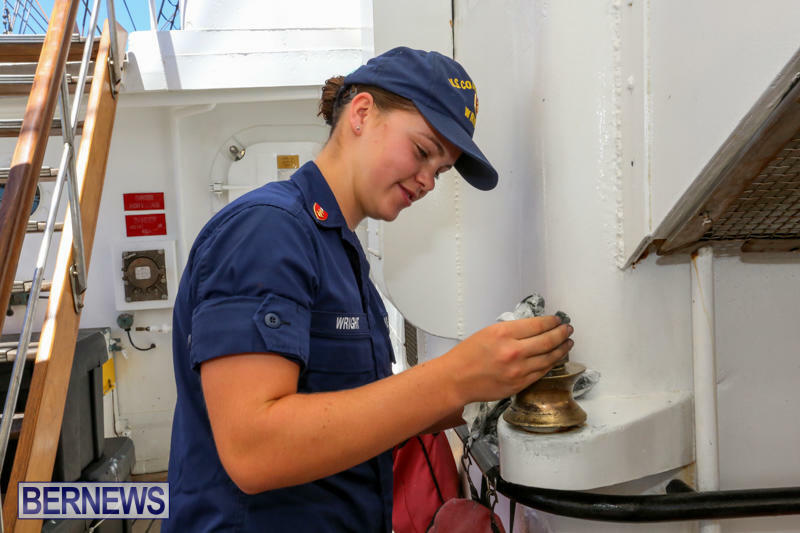 A permanent crew of six officers and 55 enlisted personnel maintain the ship and train up to 150 cadets at a time in the skills of navigation, damage control, watch-standing, engineering, and deck seamanship. 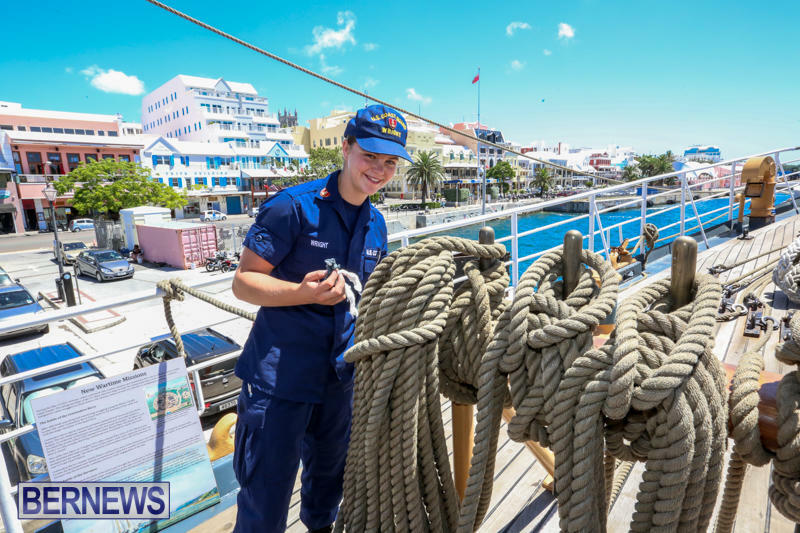 The summer 2017 deployment spans four months, stopping at 13 ports, including Bermuda and the Bahamas. 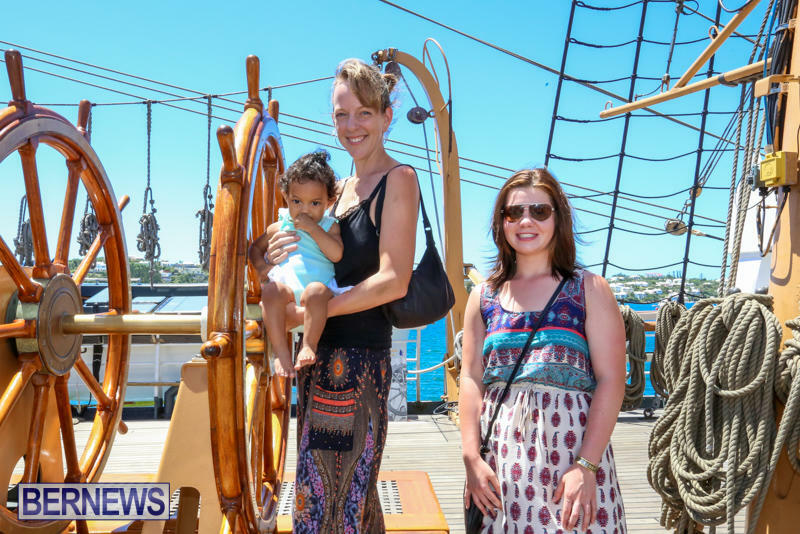 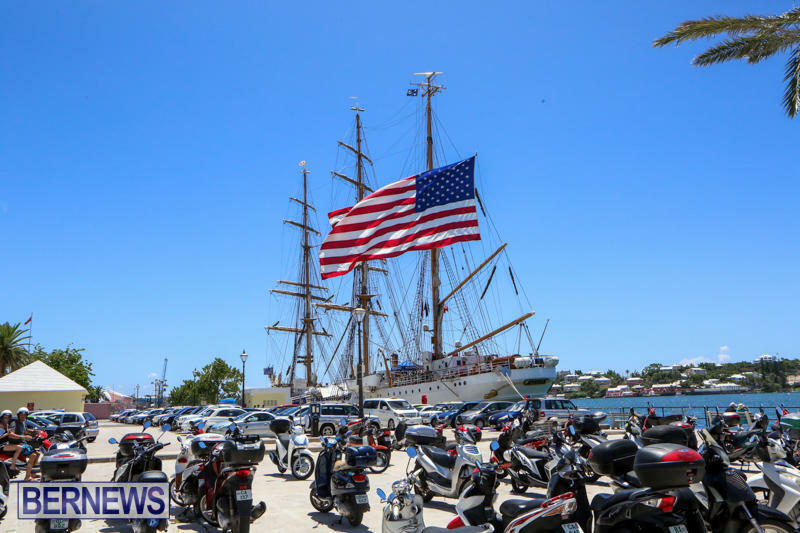 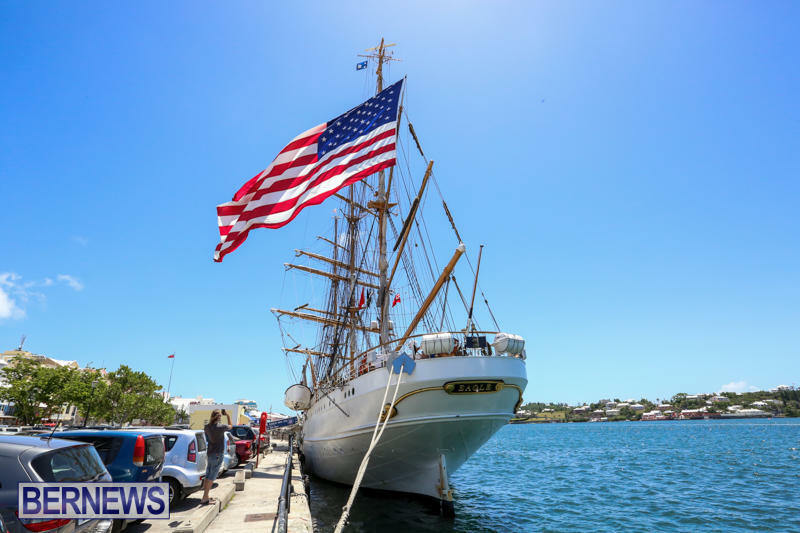 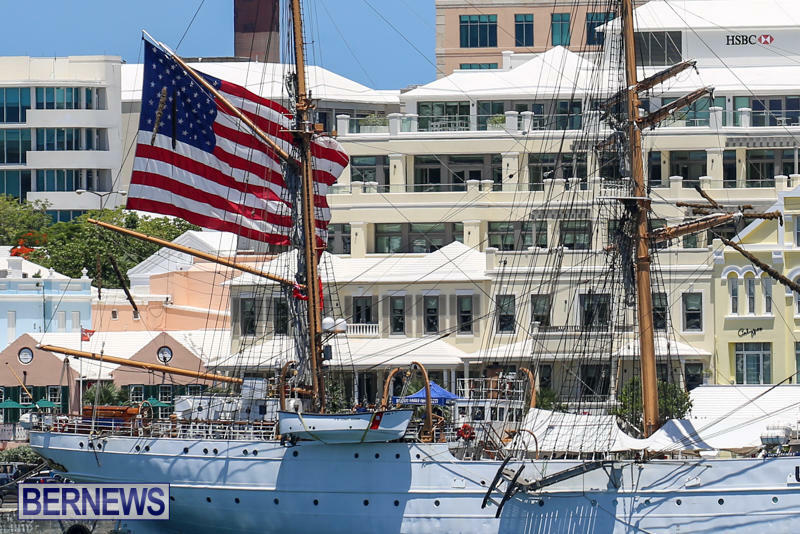 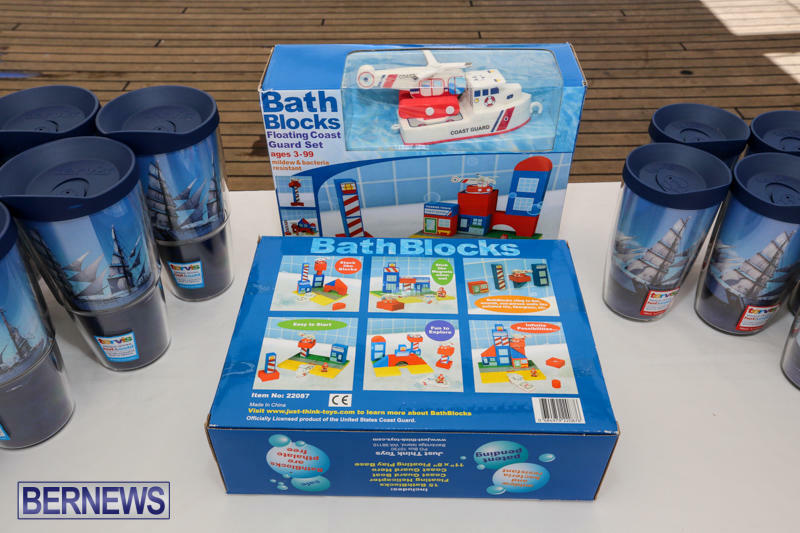 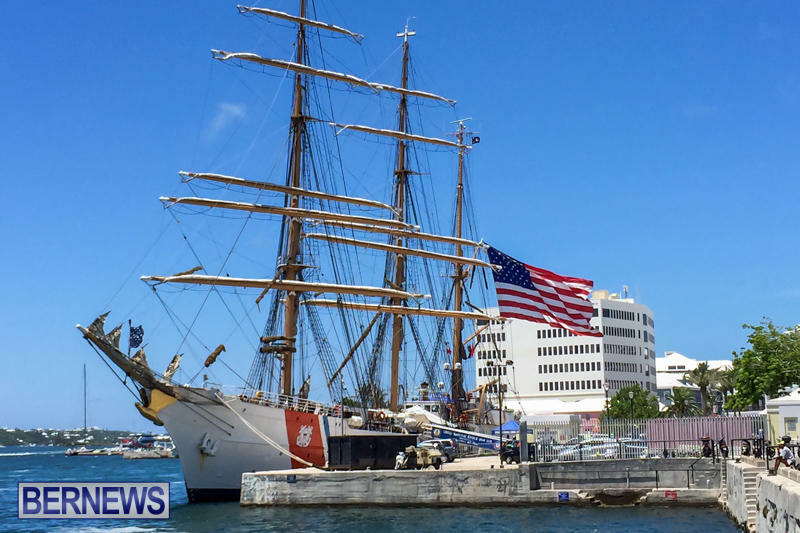 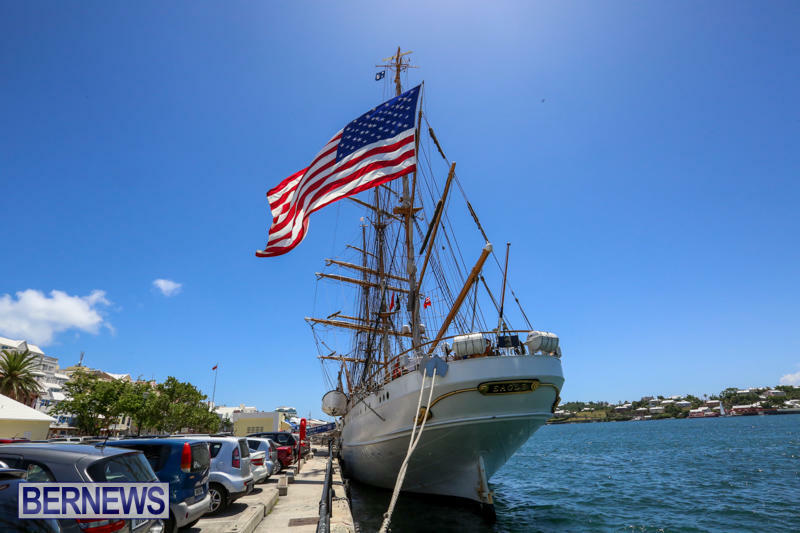 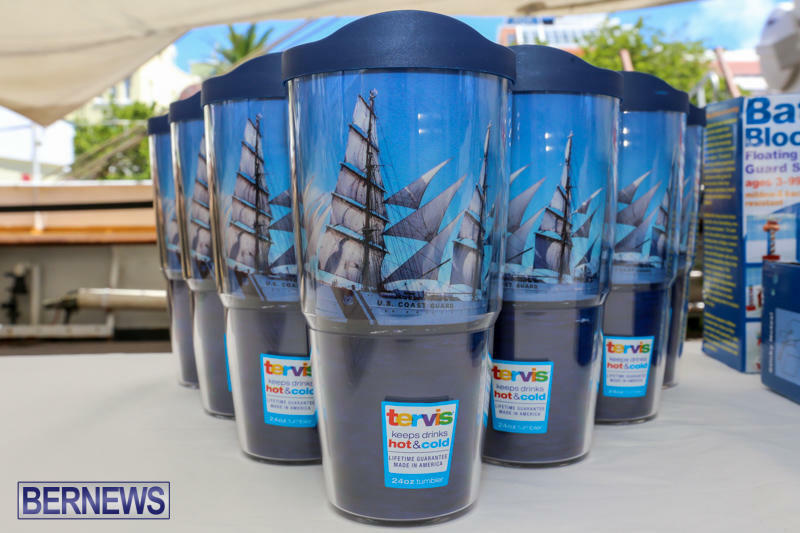 While in port, cadets from the Eagle will work on a service project at the Bermuda Aquarium, Museum and Zoo and have the opportunity to explore Bermuda’s natural beauty and visit Oracle Team USA at Dockyard.